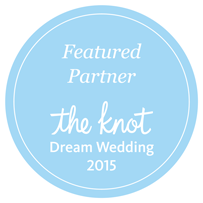 We stand behind every ring we sell which is why we offer a lifetime warranty with every diamond ring purchase. 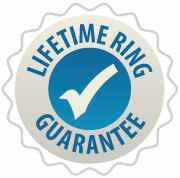 In the unlikely event there is ever a problem with your ring, you can bring it or mail it to our store for inspection. If the problem is deemed to be caused by a manufacturer defect, we will make the necessarily repair free of charge. If it is deemed the problem was caused by normal wear and tear, then we will only charge you our cost for any materials (metal, diamonds, etc) needed to make the repair. Please note that the center diamond in any engagement is not included in our engagement ring warranty. Although diamonds are the hardest substance on earth, it is still possible to break or chip a diamond if struck with enough force at the right angle. We recommend all our customers procure an insurance policy on their ring which covers loss/breakage to the center diamond, as well as loss or theft of the ring as a whole. For any further questions or to take advantage of your lifetime warranty on a ring purchased from us please contact us at customerservice@since1910.com or 1-800-979-1910.